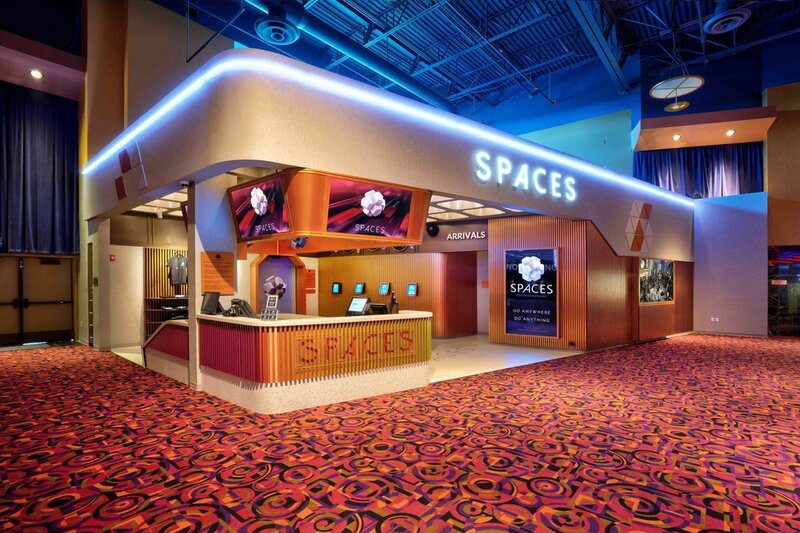 The SPACES Virtual Reality Experience in San Jose Westfield Mall is focused around creating a futuristic “Space Station” aesthetic, in which the lobby becomes a central gateway leading to alternate worlds. It capitalizes on the idea that once you pass the threshold, you embark on a journey that takes you into the virtual world and back into reality. The design is there to facilitate the journey using a mix of concrete, copper and lights to create an inviting and eclectic experience from start to finish.